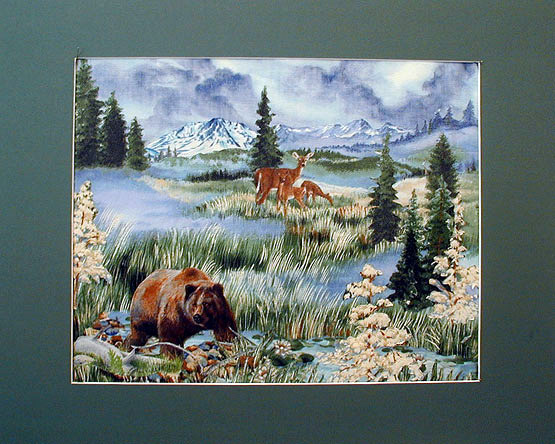 This landscape was created as a workshop sample for a 2010 Alaskan Cruise I taught on. It incorporates five fabrics, and an overlay of tulle. It’s a a wonderful memory quilt for the students on the cruise. It is featured in my book, Quick Little Landscape Quilts.